Strong Calf Muscles Will Make You Faster! You likely know that improving your stride calls for targeting three major lower-body muscle groups—quads, glutes, and hamstrings. But they’re not the only players in the game. 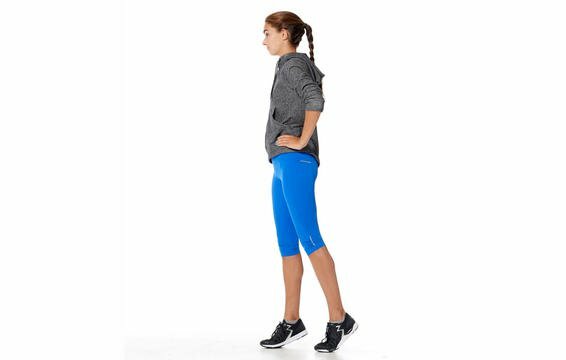 Despite their smaller size, your calf and ankle muscles are just as important for improving stride and pushing pace. Just think about how much you actually use those muscles. You activate them each time you stand or walk. When you run, your gastrocnemius and soleus – the muscles that make up most of your calf – produce the majority of that final push you need to propel upward and forward, says Paul DeVita, director of the Biomechanics Laboratory in North Carolina. And that thrust partially determines your pace and stride length. Which means ignoring those muscles can slow you down, and worse, contribute to a higher risk of injury. Scientists have some idea of why this may happen. A recent Finnish study hooked runners up to 3-D motion-capture systems and found that the overall effort required of the calf muscles was actually 25 percent greater than that of the quads. That makes them more prone to fatigue over a long run or race, pumping the brakes on your pace. DeVita also found that ankle and calf muscles tend to change and atrophy as we age. He tested the biomechanics in runners as young as 20 and as old as 60, and found that older runners had about one-fifth to one-third less ankle power – which correlated with a 10 percent slower pace and shorter stride. Runners can slow down this muscle decline with exercise that improves calf function and their ability to produce force, says Max Paquette, assistant professor of biomechanics at the University of Memphis. Which means it’s never too late to start showing those smaller muscles a hefty amount of love. Skip, bringing your front knee to waist height and your opposite arm forward. Keep your back leg straight and focus on pushing off and landing on your toes, always engaging the calves. 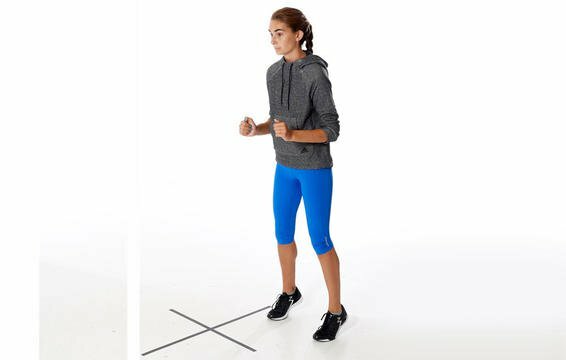 Continue for about 3 metres, walk back, and repeat twice for a total of 3 sets of skips. 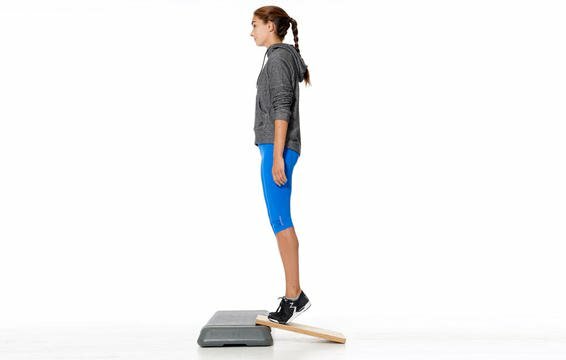 Repeat the same motion as a forward skip, but explode upward each time your foot leaves the ground. Continue for about 3 metres, walk back, and repeat twice for a total of 3 sets of skips. Sit on a bench or chair, resting the balls of your feet on a block about 30 centimetres in front of you. 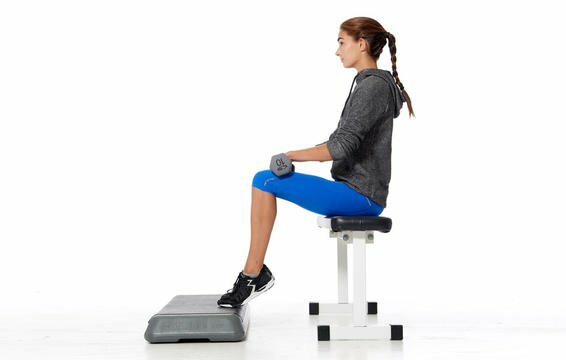 Place a weight plate, dumbbells, or a heavy object (like a box with books in it) on your thighs, about 7cm above your knees. Lift your heels as high as possible, squeezing your calves. 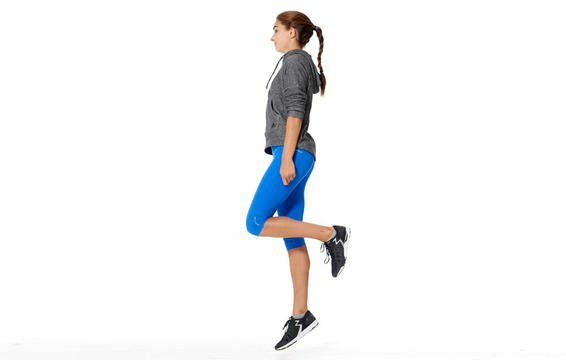 Slowly drop your heels as low as possible, until you feel a stretch in your calves. Do 10 to 12 reps for 1 set. Do 3 or 4 sets. Stand with feet hip-width apart; rise to the balls of your feet. Walk forward 30 feet, about the width of a tennis court. (Or walk in a circle for 30 seconds.) Relax for a few seconds, then turn around and repeat in other direction. To make it harder, carry a dumbbell in each hand. Repeat 3 or 4 times.